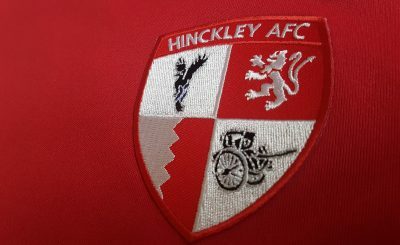 Hinckley AFC ended a run of five straight home defeats with a hard-fought 1-1 draw at home to Rocester. 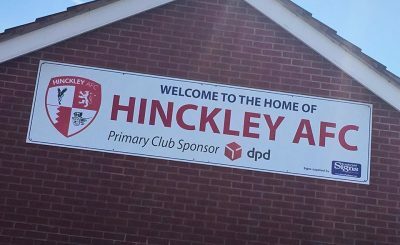 After a dull first half with little to shout about for either side, Hinckley were on the way to another defeat when Jordan Godfrey opened the scoring with a precise free kick. But Matt Jelfs levelled shortly afterwards to ensure a share of the spoils for John Ramshaw’s side. Ramshaw made one change to his Hinckley side that lost to Atherstone last week, with Louis Hamilton replaced by Ryan Mills. But the first half was a largely dull affair, with both sides taking their time to get to grips with the game. Neither kept hold of the ball as well as they would have liked, and chances were few and far between. Indeed, there was only one shot on target before half time – when Yinka Adebowale easily held Jordon Dodd’s shot from range. 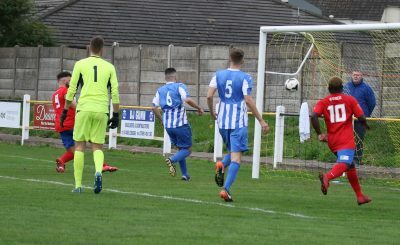 Either side of that, Godfrey hit wide for the hosts while Chad Timson came closest for Hinckley when his effort from the edge of the box was just too high. The only other time either side had even a half-chance was six minutes before half time, when Derry Creighton headed over. The second period, though, saw more action but was again fairly even. Both would have felt they could have scored more, and after Chris Hollist headed over, Rocester should have taken the lead. 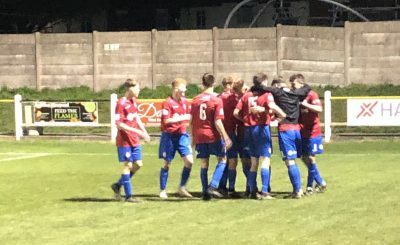 AFC switched off from a corner, from which Jordan Darlington headed against the bar and Tom Brown slammed the rebound wide from six yards when he should have scored. 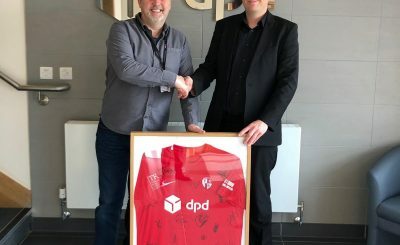 They did, though, take the lead six minutes later when Godfrey bent home a 25-yard free kick which flew over the wall and in off the post. Not to be deterred, Hinckley pulled level within five minutes as a good move down the left ended with Hollist pulling back for Jelfs, who steered a composed finish into the top corner from 12 yards. After that, both sides sought the winner but neither ‘keeper was called into anything more than routine work. Kallum Whale held Ryan Murphy’s sweetly struck effort before, at the other end, Zak Hill headed over from a corner. 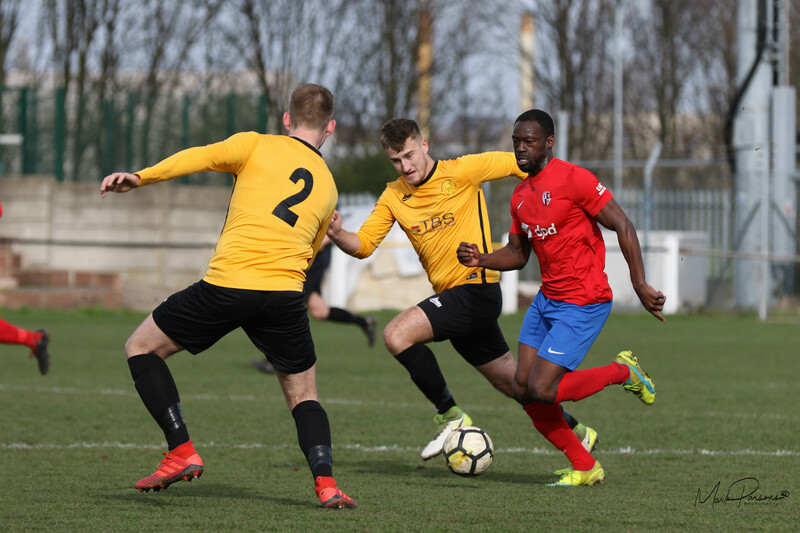 Set pieces continued to be Rocester’s biggest threat, and Adebowale had to deny Darlington after a free kick wasn’t dealt with, before comfortably holding Dodd’s header from a similar situation. Meanwhile, Hinckley were mostly restricted to efforts from outside the box and Mills had two late efforts held by Whale, while Grant Ryan came close to what would have been a spectacular winner but his 30-yard half-volley flew narrowly over. As it was, neither side could fine the elusive winner and had to settle for a point apiece.